Stand a chance to win a hamper to the value of R 1,334.00 from Woolworths when you share with us your meat-free recipes! Reply to the competition post that is posted on the Afternoon Express Facebook Page during the competition period by sharing a picture of yourself with your meat-free food dish. 1.1. 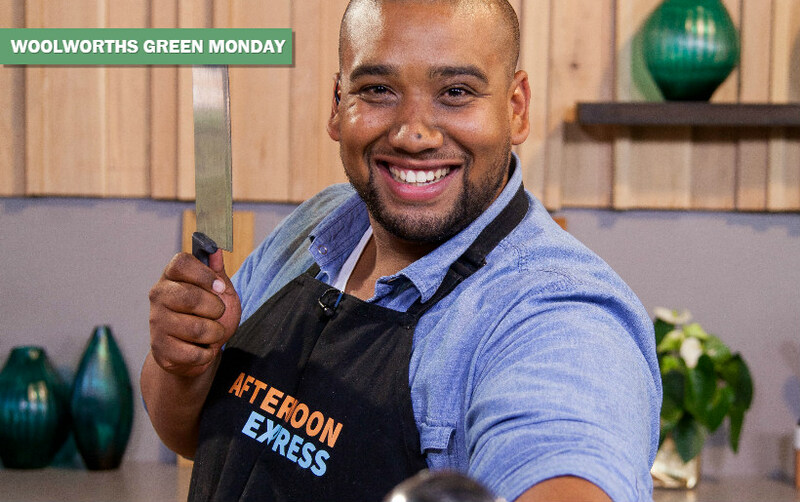 The Afternoon Express Woolworths Green Monday Competition (Competition) will be run by Cardova Trading (Pty) Ltd in association with Humane Society International and Woolworths (Pty) Ltd (Organisers/we/us/our). Entries for the Competition will open at 16h00 on Monday, 5 June 2017 and will close at 15h59 on Wednesday, 7 June 2017 (Competition Period). 4.1. Reply to the Competition post that is posted on the Afternoon Express Facebook page during the Competition Period by sharing a picture of yourself with your finished food dish and as further detailed in the Competition post. Only entries received during the Competition Period will be considered. 5.1. A panel of judges, who are appointed by us, will select 1 (one) person (Winner) from all valid entries as the winner of the Competition within 2 (two) days from the closing date of the Competition, subject to clauses 5.2 and 7.2. The Winner will be the entrant who is determined in the sole and unfettered discretion of the judges as the entrant who submitted the most creative and entertaining entry. 6.1.5. A USB Drive with recipes to the approximate value of R 85.00 (eighty-five rand).